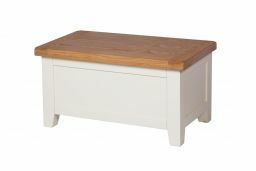 We are offering the lowest UK prices for these Country Cottage Cream Painted Blanket boxes. 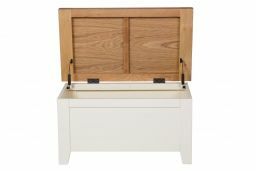 Hand made with a sustainable American oak top. 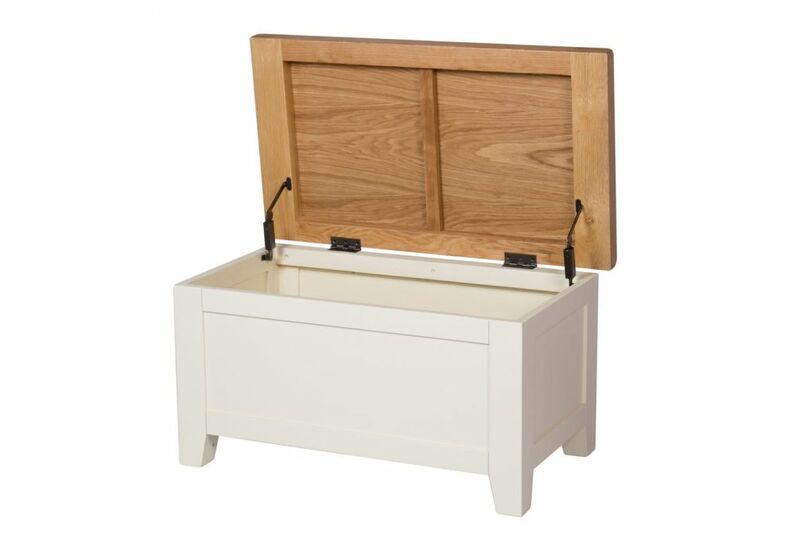 With a hard wearing oiled waxed finish these oak storages boxes are ideal for placing at the end of a matching oak bed. Great for storing clothing or kiddies toys! Love my blanket box purchase. 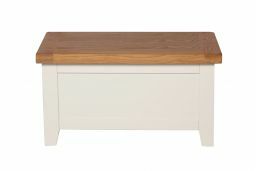 It matches the small sideboard I bought a couple of weeks ago & both are in my hall. Delivery spot on and item very well packaged. Delighted. I have purchased all my furniture from Top Furniture this year for my new home and everything has been perfect. Also the delivery guy was prompt and helpful. A beautiful piece of furniture. Unfortunately one foot was damaged but your team quickly resolved the issue.